In 1880 this shop was occupied by Albert John Ballinger, a market gardener, fruiterer and greengrocer, who shared with his brother five acres of land in Leckhampton, where they grew produce. For the vast part of the 20th Century this shop sold the same thing – bread and cakes! The first baker here was George Widdows, who was born in Milton, Oxfordshire, in 1866. He came here with his brother William, who had a bakery in nearby Suffolk Street. Whilst William supplied the bread and cakes, George concentrated on the confectionery side of the business. In 1897 they made the Great Diamond Jubilee Cake, weighing 698 lbs, which sold out in 6 hours on the eve of the Jubilee, to celebrate Queen Victoria's 60 years on the throne. 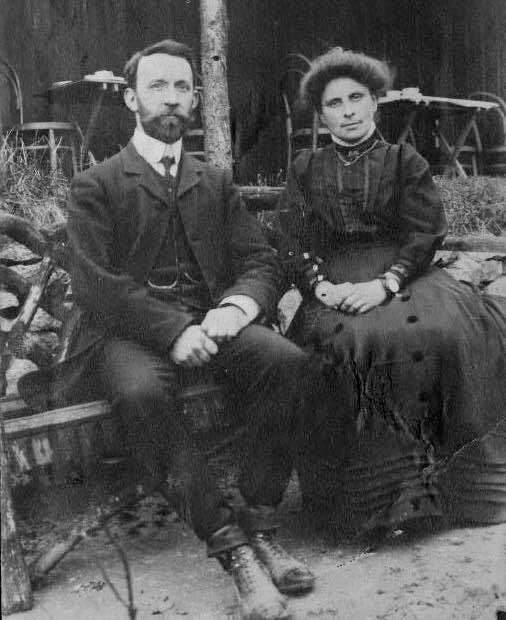 Ernest and Frieda were married at Bethesda Chapel in 1894 and celebrated their Golden Wedding in 1944. Ernest came to Cheltenham from Bath and began his working life as a pastrycook and confectioner, starting his own business in 1901. ​In addition to this shop, by 1914 the Batstones also ran the Cleeve Hill café. 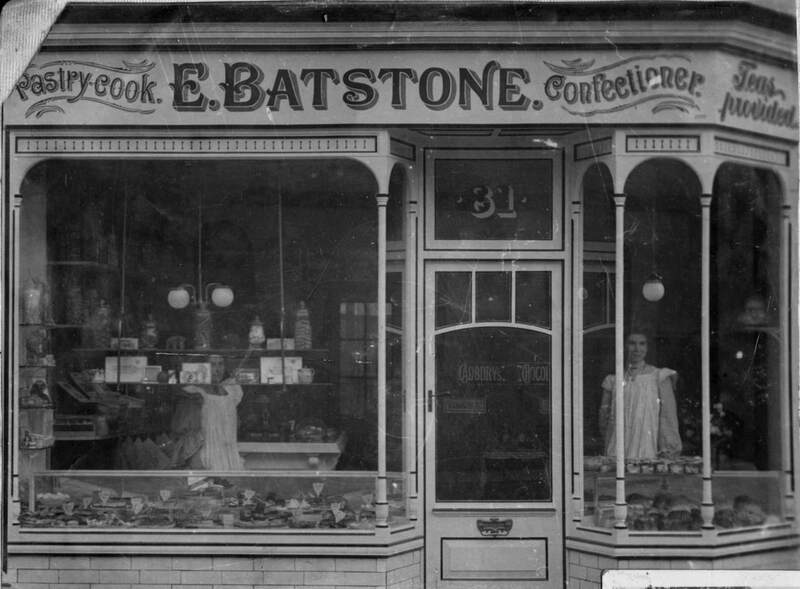 Mr Batstone’s bakery in Bath Road was famous for its crumpets. ​In 1922 Mr Dan Lewis, also a baker and confectioner, took over the bakery, whilst the Batstones retained ownership of the property. He was followed by William Swallow, who baked here from the end of the 1920s until May 1938, when Frederick Gray took over the shop. Five years later Mr Gray entered into partnership with Mr E A Lloyd and the business became F Gray & Co. Ltd.
During the Second World War Mr Lloyd was glancing through the trade magazine “The British Baker” when he saw advertised a partnership in a bakery in St George’s Street, Cheltenham. He moved his family here and the partnership was formed with Mr Gray in 1943. In addition to the bakery and the retail shop, they also operated a wholesale business supplying, amongst others, the Queen’s Hotel and Cavendish House. Towards the end of the 1940s Mr and Mrs Lloyd, together with their son, took over the Bath Road shop. 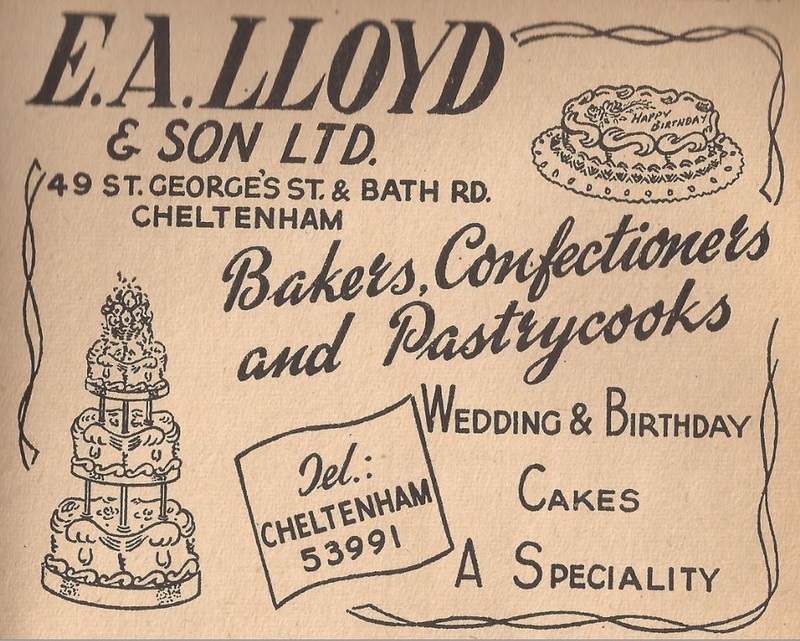 The Lloyds participated in many national bakery exhibitions and their excellent bread and confectionery won countless awards, including the Horton Trophy and the Allinson Trophy. On more than one occasion they won the British Bakers Shield, the highest award in British baking. 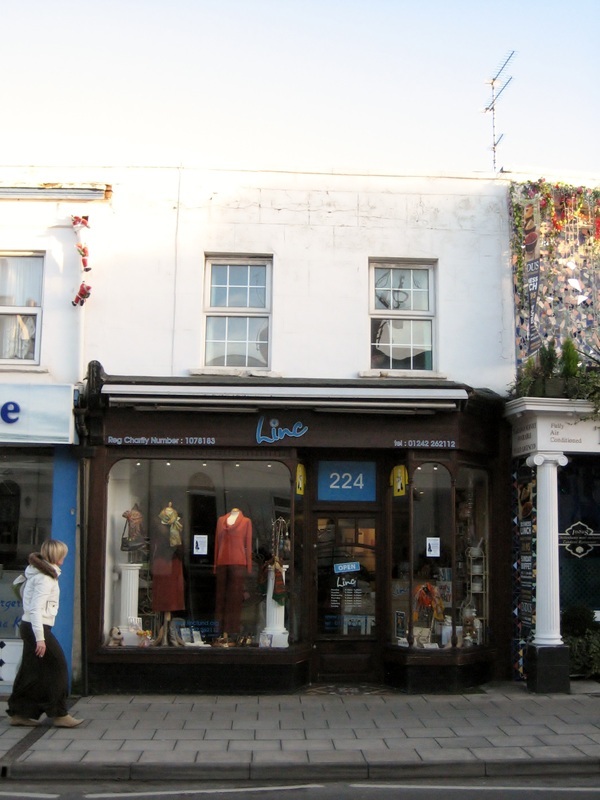 The Lloyd family returned to this shop in July 1990, when it reopened as Lloyds of Cheltenham. Mr Howard Lloyd ran the shop with his son for about 4 years until his retirement. By then the Lloyds had been selling bread here for more than one third of the century. After the Lloyds left here again the premises were occupied by The Wright Clothing Company for a few years and then in 1997 by the ladies hairdresser called Hair Systems (see 228 Bath Road). Today the property is the home of Linc (Leukaemia and Intensive Chemotherapy Fund) which is an important local healthcare charity that works to improve the care of cancer patients in Gloucestershire, Herefordshire and south Worcestershire.